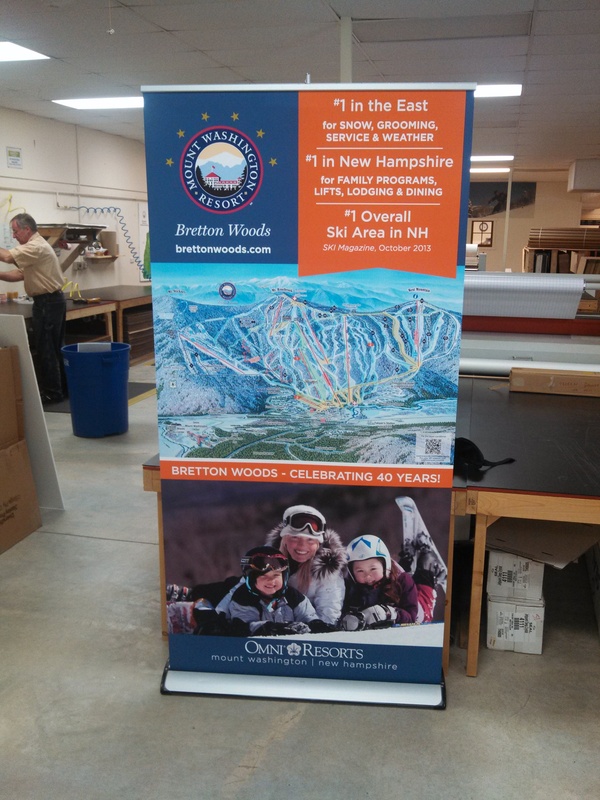 Retractable banner stands are everywhere, and for good reason, they allow you to display a banner without worrying about how you are going to hang it up. We love them for trade shows, retail stores, and public areas. The time comes, however, to change out the banner. This is something you probably don’t want to do yourself, because if the thing goes boyoing, it’s a helluva thing to make right. We do it all the time, and know how to replace your banner with something that’s attractive, durable, and affordable. Send us the banner stand and the artwork, and leave the rest up to us. Turnaround time is a day or two. We print replacement banners on a film that doesn’t curl on the edges like vinyl will. It wears well and gives you bright colors that demand attention. We find that you can generally replace the banner in a retractable banner stand two or three times before you need to replace the mechanism itself. This entry was posted in Banner Stands and tagged Banner Stands, pull up banners, replacement graphics, roll up banners. Bookmark the permalink.